The first of the list, Chen Lan Pin, was accredited to the United States in the administration of President Hayes, and then followed in succession, Cheng Tsao Ju, Chang Yen-hoon, Tsui Kwo-yin and Yang-yu. So far as the public was concerned, one of these gentlemen was the same as another. Few, except the clerks in the State Depart­ment, could remember one of them without consulting the record. It was known in a general way that there was a Chinese Lega­tion in Washington, that there was a Minis­ter, presumably a heathen, that he had at­tendants patterned after himself, that their ways were not our ways, and that their god was not our God. One of the earlier in the list—which one does not matter now - rashly thought to enter into the social life of the capital, and gave a reception. Invitations were issued all in due form. Preparations were made on a generous and hospitable scale, and when the night came the well-bred Christians of Washington poured down on the old Stewart castle which was then occupied as the legation, and swarmed over it like an untamed horde of Boxers. Some came by invitation, more without. They crushed and crowded through the rooms, they battered the furniture; they assaulted the supper tables in columns and squares, seized champagne bottles from the hands of helpless waiters, smashed the necks of the bottles to get at the wine more quickly, and altogether showed as little consideration for their host as if he had been a freak in a museum. They, did not mean to be rude, and many of them were heartily ashamed of themselves afterwards; but for years it never occurred to most people that the Min­ister from China should be treated with as distinguished consideration as the representative of any other power. Into an atmosphere like this came Minis­ter Wu. Little was known about him to indicate that his career in Washington would differ materially from those that had gone before. The brief introduction by Minister Denby, however, contained three specifica­tions, which were encouraging, to say the least. He had been admitted to the bar in London; he had served the ex-Viceroy, Li Hung-chang, at Tientsin; he spoke English perfectly. These qualifications presumed more or less contact with Western ideas and gave promise of a capacity to deal understandingly with American affairs. But that the new Minister was to leap at a bound into a position of diplomatic influence hardly equaled by any of the representatives of the European powers, was not dreamed of any more than it could have been foreseen, that events in China would culminate speed­ily in such a way as to entangle the whole civilized world and give scope for the high­est diplomatic genius. No ordinary person could have achieved this, but Wu Ting-fang is the most extra­ordinary person who ever came to us out of the East. He is one of the individuals—rare in any country—whose intelligence is universal in its range. He is a man of the world in all that the phrase implies. There is no company of men or women among whom he would not be at home. His mind plays easily and swiftly. He is quick of apprehension and speedy in response. Saga­cious, witty, astute, discerning and catholic in sympathy, his aim has been to learn the ways of the country and adapt himself to them. He is an untiring student of Ameri­can literature and customs. He reads the newspapers religiously and has, an intimate acquaintance with the topics of the day. He is fond of travel and likes to meet all kinds of people. He sees everybody who calls to see him at the legation, no matter how unimportant the person or trifling the errand. He is democratic in his ways and fond of good-fellowship. But every person he meets is a specimen to be studied. Like Li Hung-chang and like many other Chinamen of the class, he is a living interrogation point. Just how far his incessant flow of questions is due to a real desire to learn and just how far it is due to a determination that no embarrassing question shall be put to him, it is impossible to say. Nobody has ever yet been able to treat him to a dose of his own medicine. He has a genius for fencing and parrying personal inquiries, which is comparable only to the ingenuity he displays in framing inquiries of his own. No one who has not experienced his running fire of ques­tions can realize what a relentless cross-examination means. And no one that has not undertaken to reply to his searching-queries can appreciate how difficult it is to explain satisfactorily to an alien intelligence conditions, which to the ordinary American mind are matters of course. His logic is irresistible. His face is a study in physiognomy. It lightens with intelligence and humor, and yet there is a firm set in the features, and a suggestion of sternness in the eye which betokens sturdy thinking and determination. One feels in talking with him in his lightest moods that in other moods he can be cruelly severe; that however gracious and delightful he may be, he is not a person to be trifled with, that his lip is as quick to scorn as to jest, and that his voice is no better fitted for flattery than for command. Physically, he is of medium height and of medium build, a trifle stouter, perhaps, than the average of his race, and clothed with muscles worthy of, an athlete. There are few women who would not envy him the perfect teeth, white, hard and small, which he displays as often as he smiles. He is graceful in his movements and carries himself always with a dignity that is enhanced by his flowing robes of silk. His manner of life to all outward appearance is that of any well-born American. There is hardly an oriental suggestion in the furnish­ings of the handsome house in a fashionable quarter of the town, which he engaged for legation purposes when he first came to Washington. 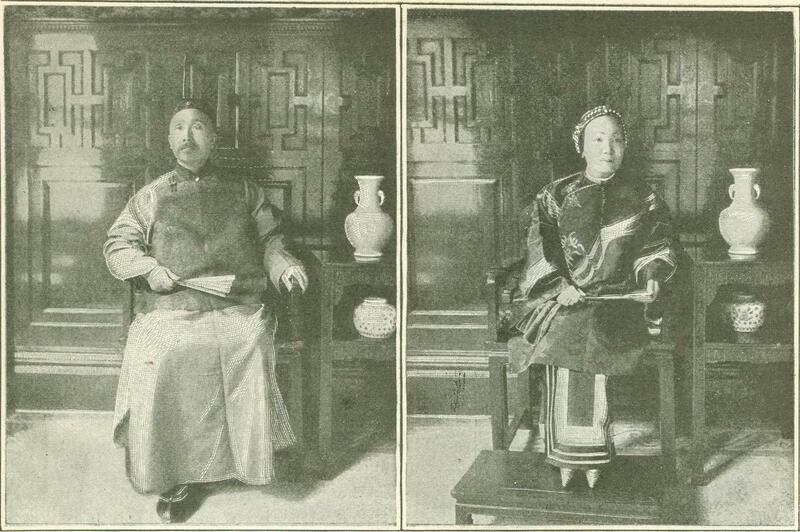 Madame Wu, whom he married twenty years ago in China, and who looks for all the world as if she had stepped out of a Chinese picture, pays calls and receives them as regularly as any other woman of her station. She attends the theatre with him and frequents public places. His eight­ year old boy plays with American youngsters and is getting an American education; he goes to the public schools and beats all the other children at their studies. The Minis­ter has an automobile of the latest pattern which he delights in running at a perilous speed over the smooth asphalt streets of Washington. The boy has strict orders not to touch it, but he is a chip of the old block, with an experimental turn of mind. One day the machine was left unattended at the legation door; the youngster mounted it, set it going and ran it against a tree on the other side of the street. 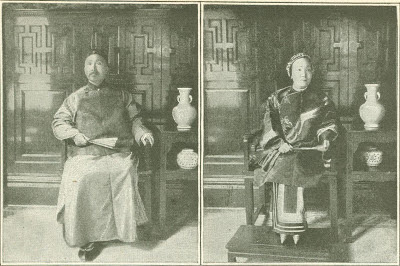 The Minister and Madame Wu give several teas in the course of a season. The lega­tion is always crowded on these occasions. Sometimes as many as a thousand people attend. "How many of these do you know?" a friend asked the Minister at one of the crushes. "Not many," he replied, good-naturedly; "bat I like to have them come. It is the custom of the country." Wu is surrounded by a group of young men who are as progressive in their ways as he, and who are equally in touch with Ameri­can customs and habits of life. Most of them can speak English, and one of them, Mr. Chung Mun-yew, the secretary-inter­preter, has as fine a mastery of the English idiom as the Minister himself and speaks the language without even the suspicion of an accent. 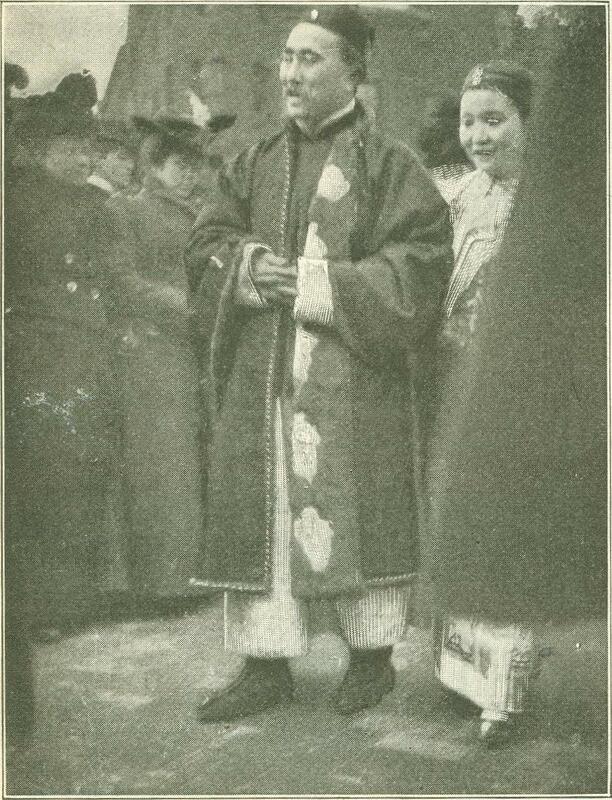 The first public appearance in America of Minister Wu came in the winter following his arrival, at a dinner of the Gridiron Club, of Washington—the most famous dining club in the world. He was invited to that dinner as the Chinese Minister who, rumor had it, could speak English like the rest of us, and who would be all the more interesting on that account. He was placed at the table between Chauncey M. Depew and Speaker Reed because it was thought that those bright and agile intellects might entertain and enlighten his untutored oriental mind. 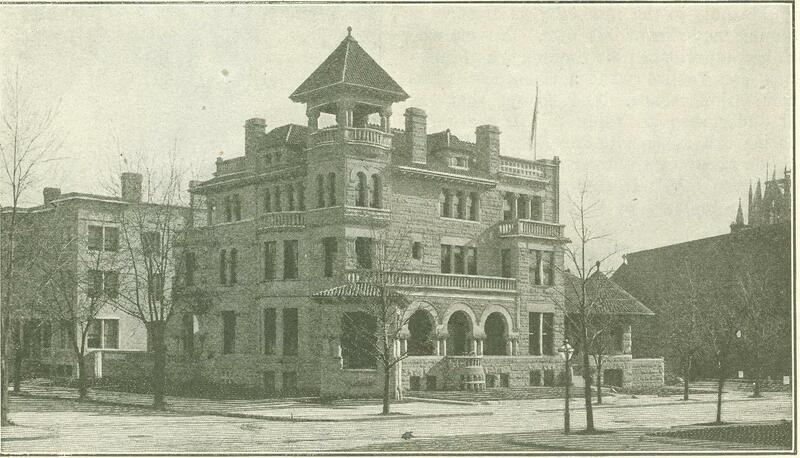 Neither Depew nor Reed had ever met him before, and it did not take them long to find out that they had been brought up against an order of intelligence altogether new. They were called on first to enliven the din­ner - a proceeding to which they were ac­customed by long and frequent habit—and each undertook to add zest to his remarks by playful allusion to the unsophisticated Chinaman who sat placidly between them. Then Wu was called out, and the speech he made will never be forgotten by those who heard it. It was as happily phrased, as witty, as pertinent as if he had been mak­ing speeches at American dinners all his life. He "got back" at Reed and Depew with a vengeance, and then he went on to touch lightly upon the innumerable topics that will come up at a dinner of the kind, with a shrewdness, a philosophy, a keenness of perception, a nimbleness of wit and a delicate appreciation of local and national peculiarities which astounded and delighted his hearers. He was a revelation to the public men present at the dinner, and from that night may be said to date his popular success. Since then he has been a guest at every Gridiron dinner as a matter of course, and he has been sought as a guest at public din­ners in every important city in the United States. He has dined with the Lotos Club in New York, he has been heard in after-dinner oratory in Philadelphia and Chicago, and wherever he has appeared he has been the attraction of the evening, never lacking in wit, in appositeness or in tact. But it is not as an after-dinner speaker that Minister Wu has scored his greatest popular success. He has gained fame as an orator on more serious subjects, and as a writer in a serious vein. He has been in the highest sense an ambassador to the American people. Not since the time when James Russell Lowell found his way to the hearts of the people of England and gave to our cousins across the sea a taste of the culture and refinement of American life, of which they had hitherto had a crude conception, has any diplomatic representative of any government fulfilled quite the same kind of a mission that has fallen to the lot of Minister Wu during his residence in the United States. In the field of diplomacy it may be doubted whether any other has come quite so near to the achievement of Benjamin Franklin, who by tact and genius and hard native sense secured for the struggling American colonies the in­estimable advantage of the moral support and ac­tive aid of France. It is not too much to say that to Minister Wu's personal popularity, and to the high esteem in which he was held, was due in great measure the moderation with which the people of the United States awaited the outcome of the great mystery that held the civilized world in awful suspense a year ago when the fate of the legations at Peking hung in the balance. The addresses which Mr. Wu has deliv­ered in the last two years have covered almost every question of mutual interest to China and the United States. He has dis­cussed the trade relations between the two countries, pointing out the rich field for American endeavor which is presented by the Chinese Empire, inviting American com­merce and American investment, and draw­ing the two nations closer together for the material advantage of each. He has talked about the exclusion of Chinese from the United States and the extension of the ex­clusion act to the Philippines—a delicate subject which he has treated with great earnestness, and yet with an excellent regard for the proprieties. He has made the bold and original suggestion that the United States, having secured a foothold in the Philippines, ought logically to apply the principles of the Monroe Doctrine to the Far East, arguing that, for our self-protec­tion and for the maintenance of peace, it will be necessary to have all nations under­stand that no further encroachments on the Asiatic Continent will be allowed; that things should be left as they are—in a word, that China should be left intact. De­velopments day by day in the diplomatic squabble now going on show how far-seeing he was, although apparently the time is not yet ripe for the United States to accept his advice. "A most striking instance in which the minds of Christ and Confucius are as one is to be found in the enunciation of the golden rule. Christ said: 'Do unto others as ye would they should do unto you.' Confucius says: ‘Don't do to others what you don't want done to yourself.' This was enunciated five hundred years before Christ, and, though it is in the negative form, when you come to examine it there is not much difference. Some hairsplitters have tried to make out that these two forms do not express the same idea; but I consider that the difference in wording is merely nominal. At any rate the spirit is the same, and anyone who acts up to it, whether a professed Christian or a Confucian, is a truly good man. So far as this world is concerned, Confucius and Christ tread in the same direction, and principally in the same path. A good Christian is a good Confucian, and a good Confucian is a good Christian. Men following Confucius are certainly entitled to happiness in the great hereafter. I don't believe that heaven is an exclusive place, and, though Christians, Taoists, Buddhists and others try to appropriate it and to make a private park of it for their respective adherents, my opinion is that it is a place with many ladders leading to it, and that anyone who has done good in life will be able to go up one of those ladders and enjoy the happiness that should come to him. It is a place for all good men, irrespective of doctrines and creeds. A Confucian who leads an upright, and useful, and good life will go there as quickly as those of any other religion. The crowning glory of Confucianism is that it teaches man to do good for the sake of good. It promises no reward and threatens no punishment. Con­fucius simply says, 'do good because it is good.' Natur­ally, happiness comes to a man for being good, as a matter of course; but Christianity makes it a motive for being good. That is the difference between Confucianism and all other systems, for other systems hold up constantly glorious rewards for being good, and severe punishment for being bad. Confucius alone teaches that goodness is a sufficient reward in it­self. I admit that the teaching of Confucius is not so catching and fascinating as the other teachings, because it does not hold out a reward to those who practice its doc­trine. But let me ask you, if you give a beggar some money, do you expect a return or reward from him? If you give money to charity do you expect something to re­turn to you from the charity you gave it to? I tell you, Confucianism is the highest form of civilization and morality, although, as I have said, it is not so taking and fascinat­ing as other religions." "That Occidental civilization in all its phases is superior to Oriental civilization is not clearly established. The burden of proof is on the side that endeavors to effect a change in the existing order of things. The mere assertion that one system is su­perior to the other is not sufficient. It does not follow that a system which has been tried and proved successful in the West must be suitable to the conditions which prevail in China. A superb landau runs with great smoothness and rapidity on the asphalt pavement of a city, but that does not show that it can go faster and more safely than an old express wagon in a muddy country road. "If the people of the West would study the civilization of China instead of trying to pull it down, they will save themselves a great deal of trouble. They will find that the Chinese are not addicted to 'ways that are dark and tricks that are vain,' as they are repre­sented to be by an American poet. They will find that China, old as it is, still exhibits all the strength and vigor of full maturity. They will find that the civilization that has stood the test of forty centuries is far from being effete. "On the other hand, China must keep up with the times in the onward march of progress. To this end it is necessary for it to take lessons from the Western world. But it need not be a servile imitator. Its re­quirements are peculiar. By adopting from the West only what is best for its welfare, it will transform itself into a modern nation without losing those elements of national character which have made it great and strong in the past. In this work of regeneration it will doubt­less need the service and assistance of some wise men from the West." The greatest service which Wu Ting-fang has rendered to his own country and to ours -one of the greatest services which a diplomatic representative could ever render —was during the dark days of the summer of 1900, when the ministers of all civilized countries were shut up in Peking for weeks and nobody in Europe or America knew whether they were alive or dead. A more trying position for a diplomatic representa­tive could not be imagined. To all intents and purposes, a state of war existed be­tween China and the United States. He was practically alone in the enemy's country, where he would naturally be an object of distrust and suspicion, isolated from his own people and ignorant of what was going on at home. The belt of silence which sur­rounded the Chinese capital was almost as impenetrable to him as to everybody else. He had only one advantage - a general knowl­edge of the motives of his own countrymen and a familiarity with the machinery of his government and the ordinary avenues of communication. For many days he was per­haps the only man in the civilized world who believed firmly and with reason, that all would be well, that the people in the lega­tions were alive and that communication with them could be established. The reputa­tion he had made for himself proved of ines­timable advantage. Secretary Hay had unbounded confidence in his good faith, how­ever slight might be the hope in the result of his endeavors. The Secretary of State and the Chinese Minister strove together in complete harmony to find a ray of light. It was Minister Wu's suggestion that the attempt was made to send a message to Min­ister Conger, the response to which would establish beyond dispute whether or not the little band of foreigners in Peking still lived. Men will be long in forgetting the wave of relief that swept over the country when the reply to the message came, quickly followed by the, opening of the gates of Peking and the rescue, safe and sound, of those who had been given up for dead. The confidence in the Chinese Minister was fully justified. York World, with characteristic audacity, proposed to Wu Ting-fang that he edit the Sunday edition of that paper for a single issue, the Chinese Minister seized upon the proposition with avidity. No sooner was the suggestion made to him than he caught at it and began to lay out plans with a definite­ness that evidenced he had already given serious thought to the subject. 1. There must be a table of contents, giv­ing the subjects of articles with their authors and the pages where they are to be found. This, he said, would be a great boon to busy men. 2. A summary of the news of the week just passed, both foreign and domestic. 3. A forecast of the fixed events of the week to come. As for the contents of the paper there should be a page of wise and good say­ings chosen from the words of the greatest and best men of all ages and religions—Christ, Confucius, Socrates, Marcus Aurelius, Bacon, Franklin, Shakespeare and Milton. There should be a page devoted to anecdotes and personal paragraphs about prominent people, and there should be articles of a philosophic and scientific value. Just at that moment there was general interest in the discussion of the "Elixir of Life," which it was said had been used with good effect upon several men of advanced age, Abram S. Hewitt among the number. The Minister insisted that there should be an article upon "The Elixir of Life," which he declared was of more absorbing interest to a greater number of people than any other topic of the time. He proposed that this article should treat of all attempts since the beginning of history to resist the ravages of years or make life perpetual. This, in a general way, and there was no feature of a Sunday newspaper which this exceptional editor did not consider and either indorse or reject. What Wu Ting-fang undertook as an edi­tor on short notice is only illustrative of his resourcefulness and adaptability. It may be doubted whether there is any important line of American effort to which he has not given sufficient attention to enable him, if called upon, to offer intelligent criticism and perhaps helpful suggestion. There is certainly no line of public effort where he has come in contact with men of longer experience bred to the soil, in which he has neglected to display to good advantage his varied accomplishments. He has never suf­fered in comparison, and nobody has ever thought of giving him odds on account of his unfamiliarity with his surroundings. Wu Ting-fang is a genuine Chinaman—not of the Manchu race, which overran the north and seized the reins of power. He was born about fifty years ago, within half a day's journey of the City of Canton; his father was a literary man. He attended Queen's College in Hongkong, and began the study of the English language there. He went to England in 1874, enrolled him­self as a member of Lincoln's Inn, and was called to the English bar. 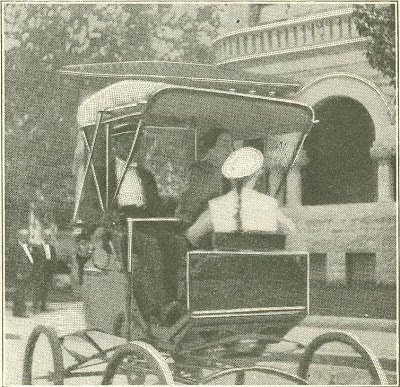 Before returning to China he made the tour of the Continent, visiting every European city and country of any consequence, crossed the Atlantic, visited the principal cities of the United States and returned to his native country, having spent three years in study a n d in circumnavigating the globe. He was the first Chinese lawyer ever admitted to practice before the English bar in Hongkong. He was soon in com­mand of a large prac­tice among the Chi­nese residents which brought him not only pecuniary profit, but reputation. For five years he continued to practice his pro­fession. 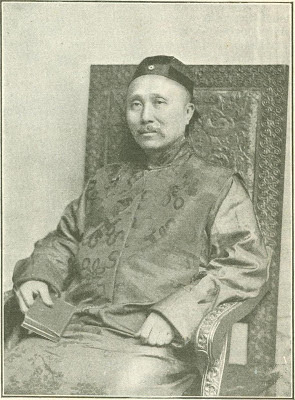 He attracted the attention of Li Hung­-chang, and in 1882, at the invitation of the great Viceroy, he went north to Tientsin to become Li's legal adviser. For the next fifteen years he occupied a position under Li Hung-chang which was of great delicacy and consequence. He was not only Li's legal adviser, but his deputy for foreign affairs, and in connection with this office he was managing director of the Railway Bu­reau and president of the Kai-ping Railway Company, with entire charge of railway construction in North China. Such duties brought him in constant contact with all that was most progressive in the industrial development of the East. There are two divisions of railway management in China—the foreign and the Chinese. The foreign deals with engineering and traffic, the Chi­nese with the accounting. Mr. Wu, as managing director of the Railway Bureau, had supervision o'er both. At the same time he was the first president of the Imperial Uni­versity established at Tientsin. At the conclusion of the war with Japan he played an important part in the negotiations for peace. As first secretary of the embassy, he accompanied Messrs. Chang Yen-hoon and Shao Yu-lin on their first, peace mission, and he occupied a similar position under Vice­roy Li in the second peace mission. He represented the im­perial government as plenipotentiary on the occasion of the exchanges of ratifi­cations of the treaty of peace in May, 1895, and in the ne­gotiation of a treaty of commerce and navigation between the two countries, which followed the restoration of peace, be rendered valuable assistance to the principal commis­sioners representing the imperial government. It was doubt­less his distinguished success in this historic series of ne­gotiations that led to his appointment as Envoy Extraordinary and Minister Plenipotentiary to the United States, Spain and Peru, which for convenience and economy were united in a single embassy. Cuba at that time being a possession of Spain, brought Washington and Madrid close together. 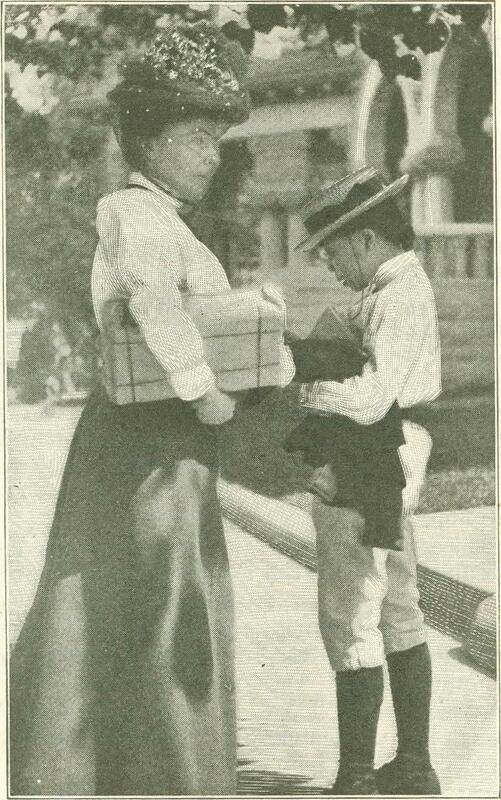 Mr. Wu arrived at his post in Washington in May, 1897, just after the inauguration of President McKinley. He did not de­liver his credentials in Madrid until 1899, when he went to Spain for that purpose. He has not yet taken an official trip to Peru. His diplomatic labors in the United States have been important enough and onerous enough to occupy his time, and in the last twelve months he has carried on his shoul­ders a burden of responsibility which few men could have been physically or mentally able to bear. Altogether, if the Chinese Government had sifted the empire it is hard to see how they could have sent to the United States another representative so well fitted for the post as Wu Ting-fang. Is he a fair type of his race? Are there others like him? Or is he the only one of his kind? From Ainslee’s Magazine – June 1901.